All Gu'd Up and Whooping Along! Yesterday was a "medium to long" ride day to prepare for the time/distance of STP. 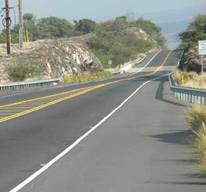 I rode up almost to Kawaihae, when the easterly trade winds, blowing across the highway, started getting a bit too bodacious for my taste. Yes, the shoulder was pretty wide here, but a) the cross wind was pushing very hard towards the moderately heavy traffic, and b), the shoulder gets much narrower just up there on the hill before the Mouna Kea turn. Not "we hurt", or "we're exhausted" but just plain old, "we're getting weaker/tired". I interpret that signal as "running out of gas (blood glucose)": time to fuel even if it is a bit early. But I have to deal with the stomach curmudgeon and the osmotic police. (see fueling section in "How to !!FAIL!! at STP"). That, of course, is the trick. This was 5 hours into the ride, so being told "resources used, please refuel" was not a surprise. Additionally, my stomach was really empty except for energy gel and drink. Nothing to slow things down. I promptly took action but also watched the results. With the very empty stomach, as mine would be during STP at about an hour after the REI rest stop. Legs report "why are we going so slow, zoom zoom!" This turned out to be a very simple example/demonstration of my fueling routine. When my fuel is burnt up, I add some very easy to transfer new fuel. One key thing to note: this was after 60 miles! I'll explain it more in the chapter on fueling.